The post sparked a worldwide movement. The hashtag #MeToo soon became a rallying cry among people who had endured sexual violence in their lifetime, and many of these individuals shared their own stories for the world to read. Sexual harassment and violence are common in the United States, especially among women. According to the National Sexual Violence Resource Center, 1 in 3 women and 1 in 6 men will be sexually abused in their lifetime. For some men and women, harassment and assault have led to them developing post-traumatic stress disorder (PTSD). According to the American Psychiatric Association, about 1 in 11 adults nationwide have PTSD. Without warning, the disorder can trigger distressing thoughts and feelings. PTSD is a neurological disorder that can occur after experiencing or witnessing a traumatic event. The disorder is often associated with military veterans, but individuals who witness a car accident, have a death in the family or endure child abuse can also develop PTSD. Certain cues and contexts can trigger these symptoms. When Judge Brett Kavanaugh was accused of sexual assault prior to his confirmation into the U.S. Supreme Court, some news outlets reported that many women who had been sexually abused experienced an exacerbation of PTSD symptoms upon learning more about Kavanaugh’s accusations. Triggers are common among people with PTSD. For example, women who watch movies that include a scene involving sexual harassment may experience flashbacks to a past sexual assault that they endured. They might also be reminded of their abuse by seeing stories about sexual assault in the news. Some people who learned more about the allegations against Kavanaugh flashed back to when they were assaulted in high school or college. These flashbacks can elicit a range of feelings, including sadness, anger, fear, anxiety or depression. Triggers can cause people to struggle to complete everyday tasks or interact with loved ones. Coping with PTSD can be difficult, but people with the disorder can ease their symptoms by engaging in hobbies, spending time with loved ones and seeking professional help when needed. People who experience triggers that conjure distressing thoughts and memories should spend time in environments in which they are most comfortable, with trusted family members or friends. They can also alleviate stress or anxiety by engaging in activities that they enjoy, like hiking or playing a sport. For some individuals who have endured a sexual assault, confiding in someone they trust can be a cathartic experience. Survivors of sexual crimes can also benefit psychologically from speaking with people who know their story and can provide support. A mental health professional, like a counselor or psychologist, can help survivors of sexual assault better understand their emotions. They can offer advice for avoiding triggers and how to handle intrusive thoughts. It is important for people with PTSD to take care of themselves. They should routinely exercise and eat healthily. Do not skip meals and try to get between seven and eight hours of sleep each night. Individuals with a mental illness who try to maintain good physical well-being can increase their chances of improving their psychological health. Some survivors of sexual violence who deal with PTSD look for ways to numb their physical or psychological pain. In some instances, they turn to drugs or alcohol. According to the National Institute on Drug Abuse, research suggests that as many as 8 in 10 women who seek addiction treatment reported experiencing physical or sexual abuse in their lifetimes. Many individuals with a substance use and mental health disorder improve their symptoms and learn ways to better manage their co-occurring disorders by completing treatment. 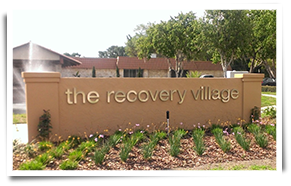 Various rehab centers, like The Recovery Village, offer evidence-based methods for treating substance use disorders. To learn how treatment can benefit a person’s health, contact The Recovery Village today.